Take a look at the history of the Chevy Suburban, and then test drive this legendary SUV at one of our dealerships near Mesa! Pre-owned vehicle pricing includes all offers and incentives. Tax, Title and Tags not included in vehicle prices shown and must be paid by the purchaser. While great effort is made to ensure the accuracy of the information on this site, errors do occur so please verify information with a customer service rep. This is easily done by calling us or by visiting us at the dealership. 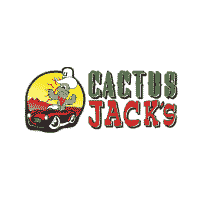 When you buy your used Chevy Suburban in the Phoenix area from Cactus Jack’s, you’ll have access to affordable financing offers that make the package even more attractive, including our buy here, pay here policy and only $500 down. Take advantage of our online payment option, and contact our staff to set up a test drive anytime! While you’re here, be sure to check out our used vehicle dealer specials!